If you haven’t been seeing the doctor for any other reason which would enable them to keep an eye on your general health, and are over 40, you are entitled to an NHS Health Check every five years. This should keep on top of preventative options which will minimise the chances of heart disease, diabetes, kidney disease and stroke. If you are over 65 you will be given information about the signs and symptoms of dementia to look out for so it can be caught quickly and the impact minimised. Check-ups are normally suggested every 6 months but even if you have good dental health you should have a check up at least once every 24 months. Oral inspection can pick up on general health matters as well as dental health; if you don’t have any teeth but have a mouth, get checked. Hearing tests are recommended if you think there is anything wrong with your hearing and if you use hearing aids you should have a test at least every three years. 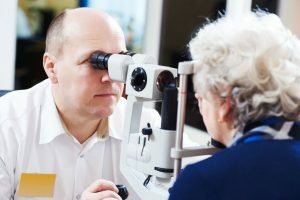 You should not go more than 2 years without an eye test. Even if your vision seems stable a test can identify health issues and deal with them before they become critical. Look back to see when you last had any of these check ups and then write in your diary when the next ones are due. If you haven’t had any of these check recently you are due one now. Many of these tests are available free depending on age, financial position, existing health conditions and where you live (i.e. England & Wales, Northern Ireland or Scotland who all have different rules). Check with your practitioners to see if you will have to pay.